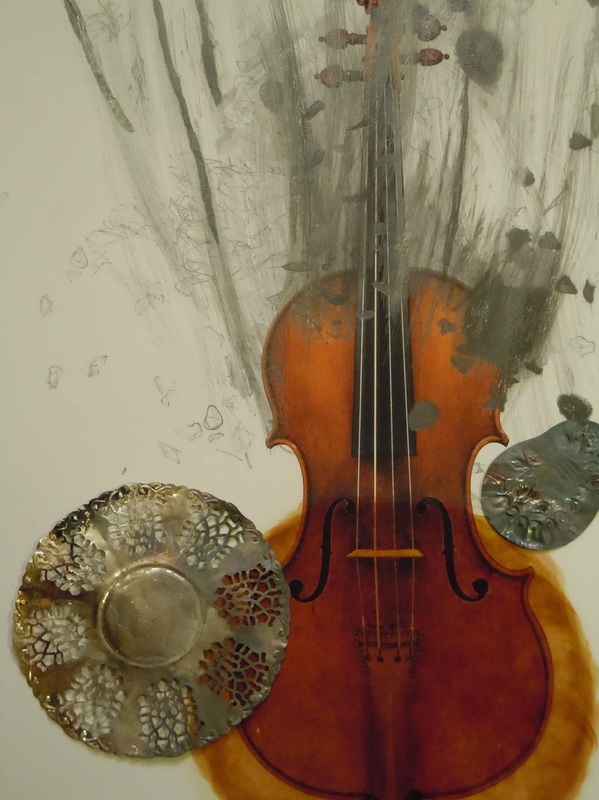 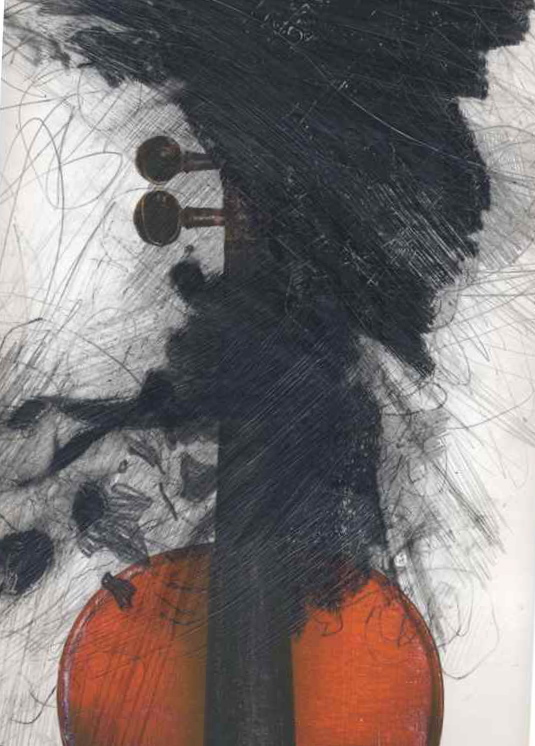 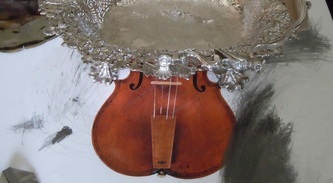 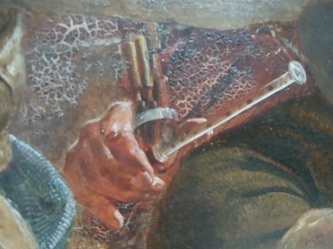 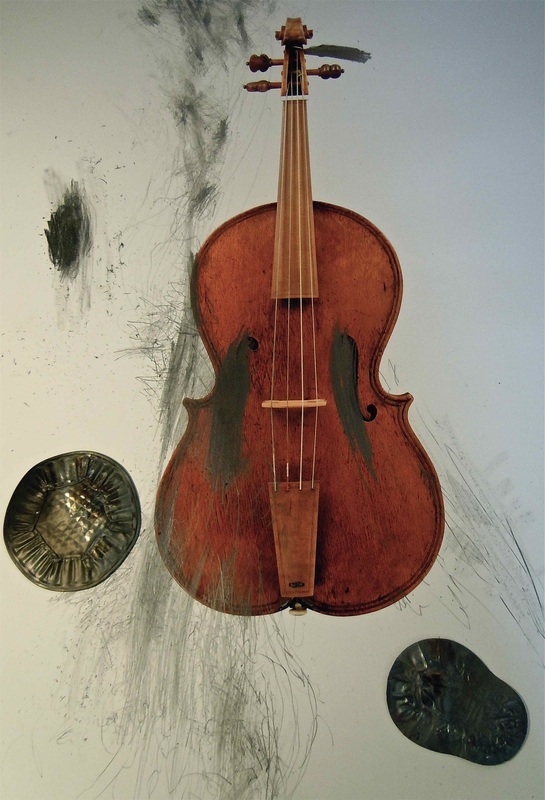 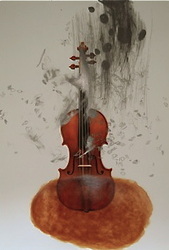 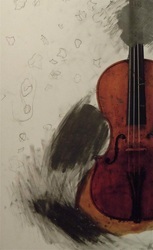 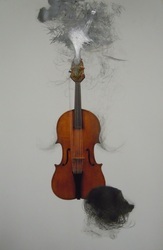 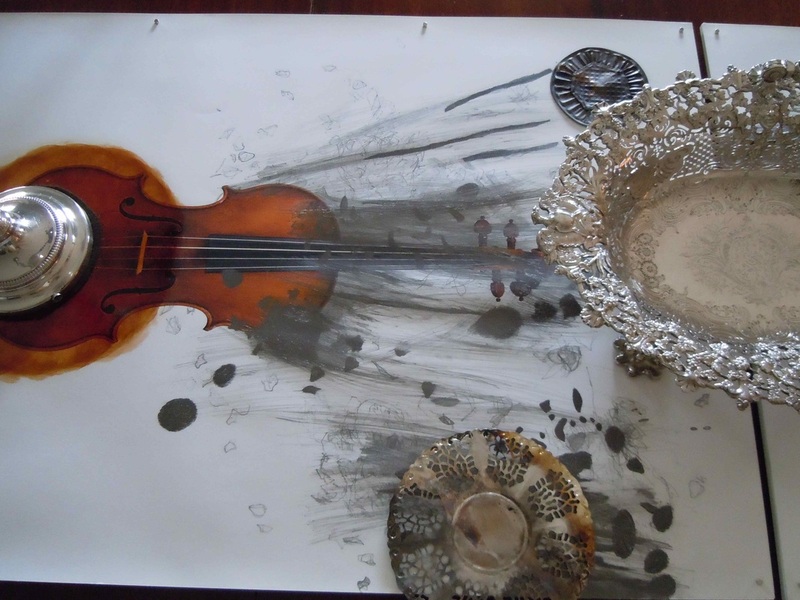 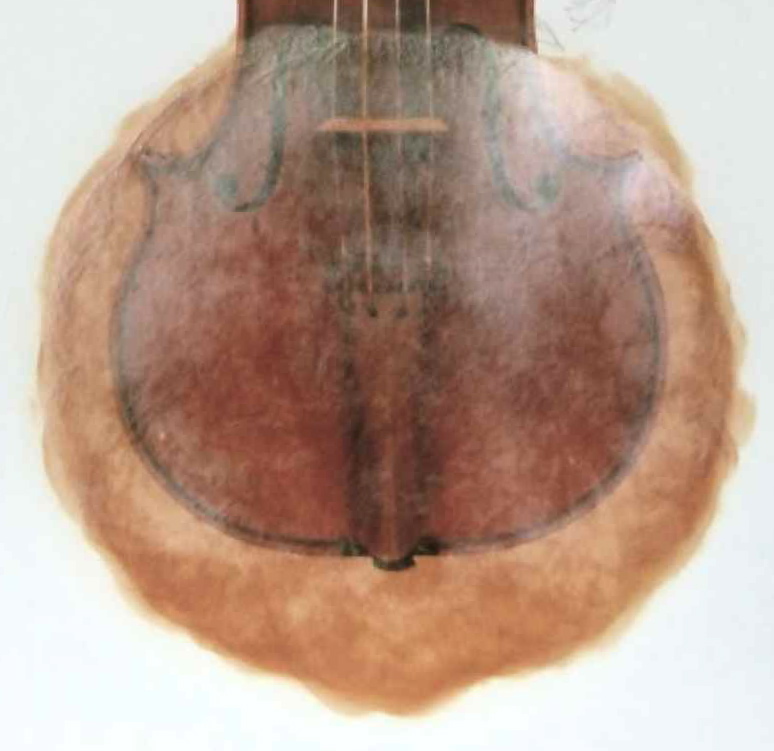 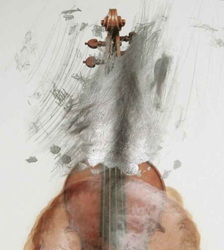 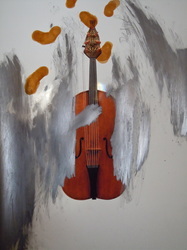 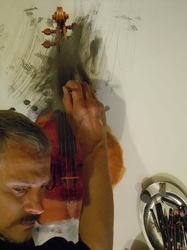 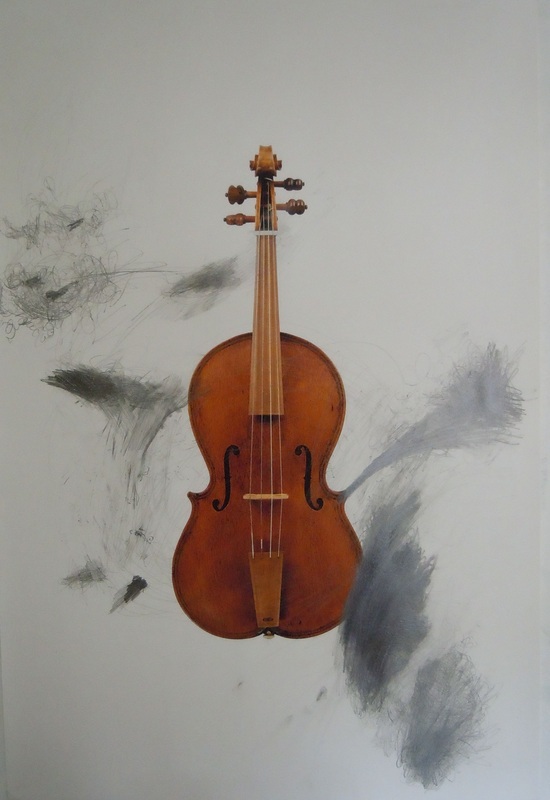 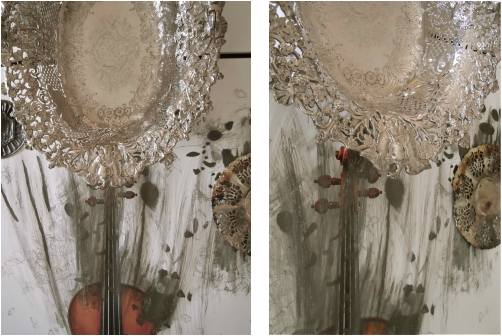 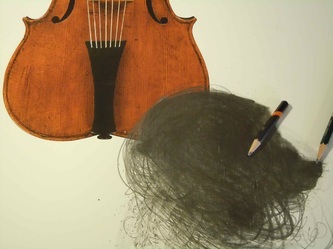 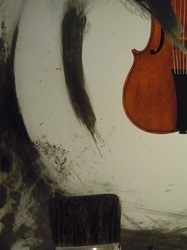 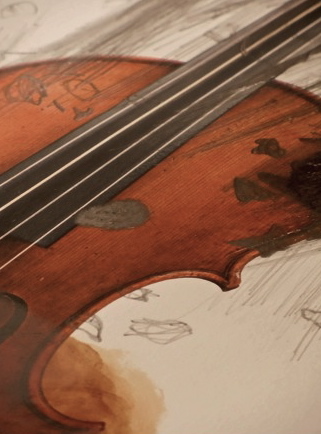 Dorsett's sabbatical project Quiet Varnish (2010) involved the creation of over-drawings on high-resolution photographs of historic violins (e.g. the Ashmolean Museum's Hill Collection which includes instruments that have not been played for over a century). 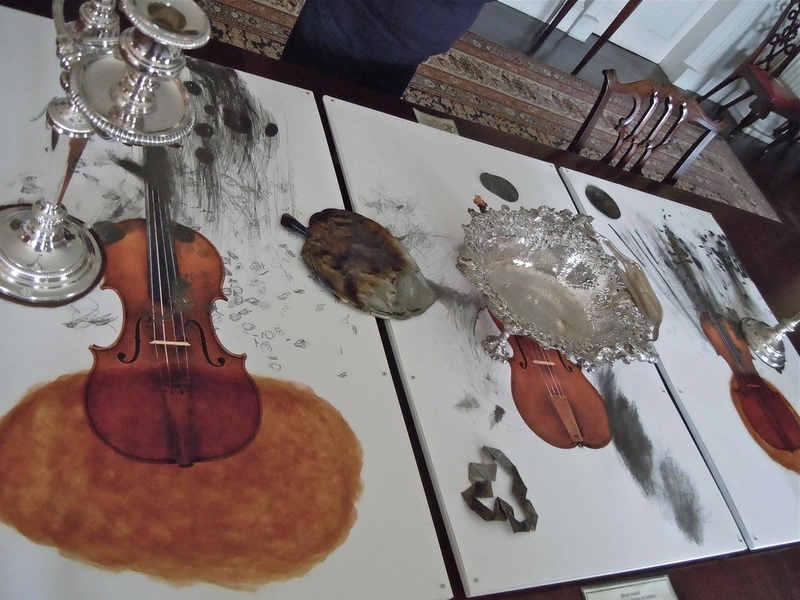 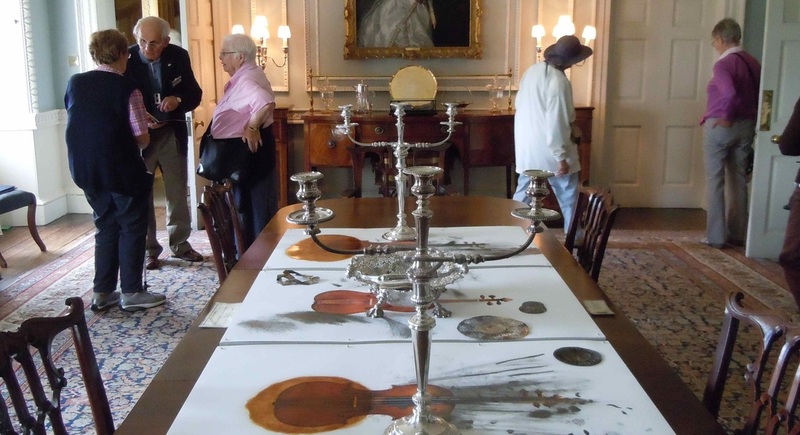 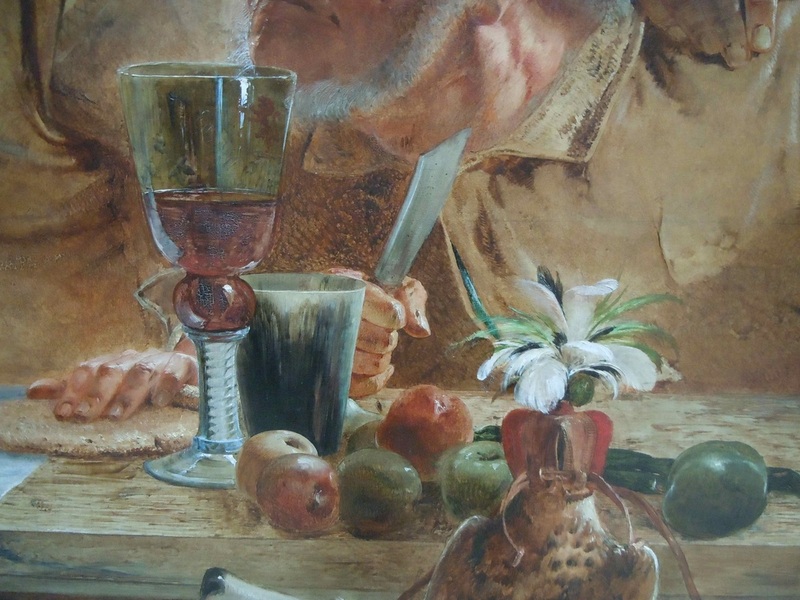 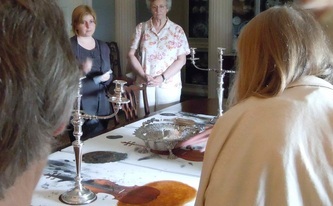 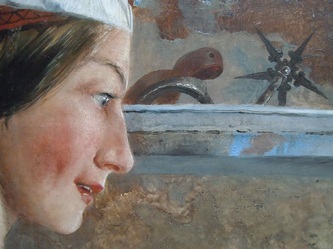 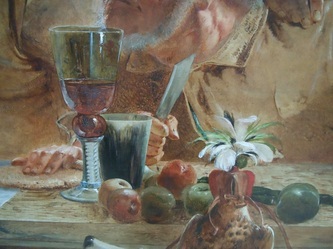 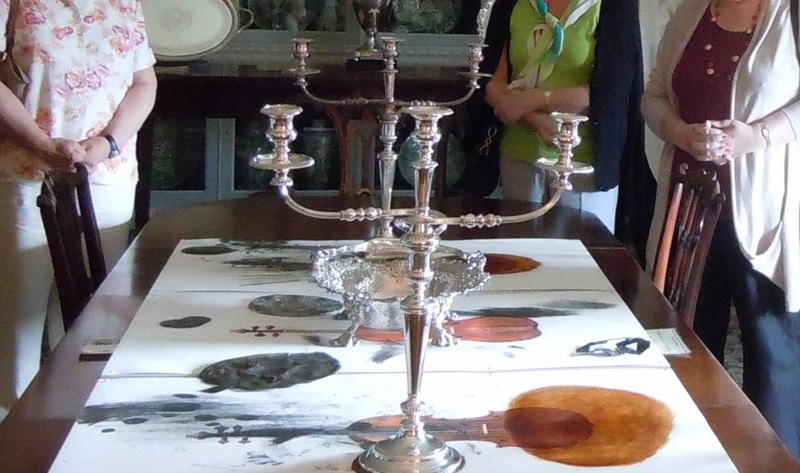 Some works from this series were exhibited in Delay: delayed by illness (2010) and Dust on the Mirror (2011), whilst others were mounted for horizontal display beneath long-redundent banqueting silver on the dining table at Wallington. 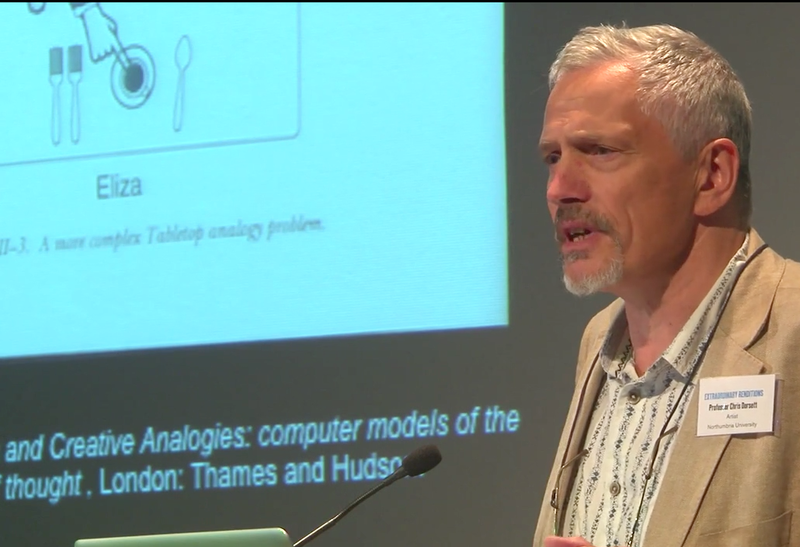 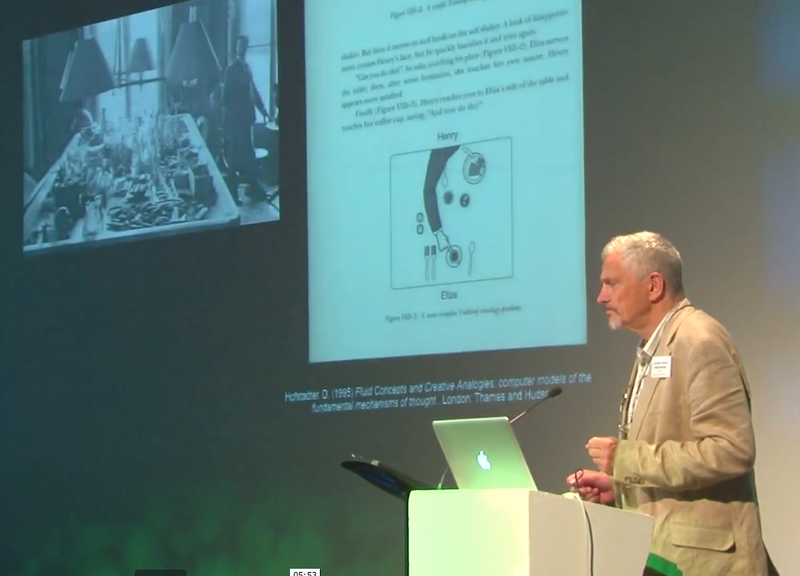 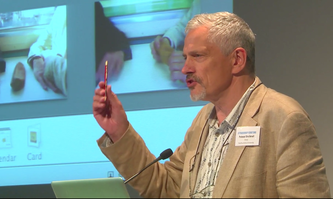 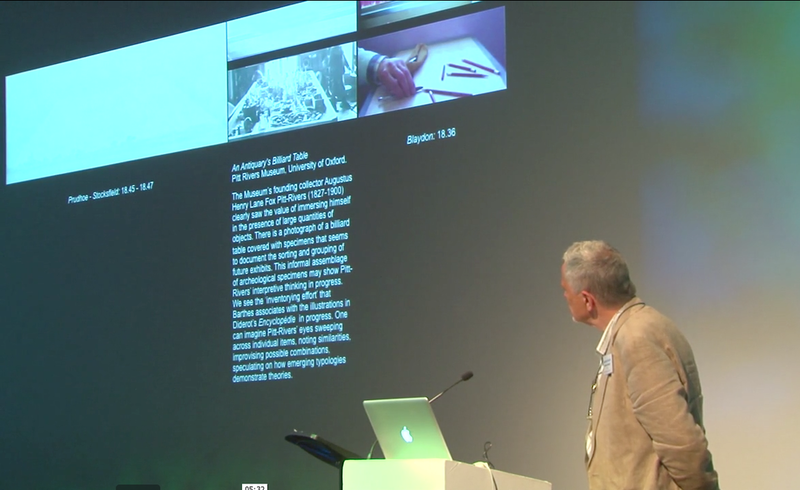 The engagement with cross-sensory semiotics generated by Dorsett's drawings on long-silent musical instruments led to his recent presentations, conference papers and essays on themes such as: 'Semiotic Uncertainty and Resonant Presence’ (at Transformations in Art and Culture, Netherlands Organisation for Scientific Research, 2011); 'Synaesthetic Presences: new sights from old sounds' (British Forum for Ethnomusicology Conference Making Sound Objects: Cultures of Hearing, Creating and Circulation, 2012); and ‘Safe Houses on Enchanted Ground’ (an essay on Joseph Addison’s 1713 ‘frozen voices’ story for Sian Bowen’s Rijksmuseum publication Suspending the Ephemeral, 2012). 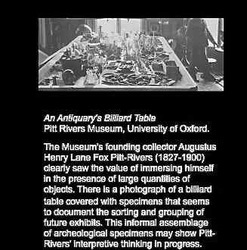 The concept of curating artworks on table tops also featured in a keynote presentation by Dorsett entitled 'At a Moment’s Notice, According to the Pleasure of the Holder' (Design, Semantics, Form and Movement Annual Conference, Jiangnan University, China, 2013). Table-top installations, as a form of curatorial sense-making, also inspired a sequence of train-table conversations about genetic archives filmed by Dorsett for his projection piece 'trainslidingtalk' in Extraordinary Renditions: the cultural negotiation of science, Baltic Centre for Contemporary Art (2013). 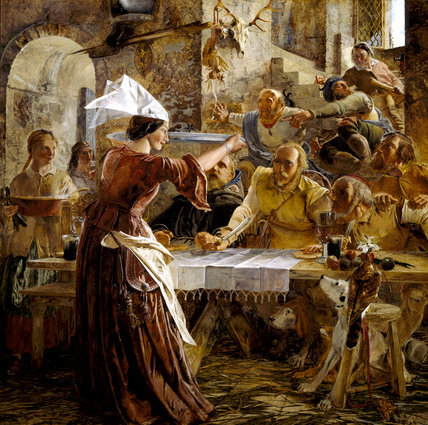 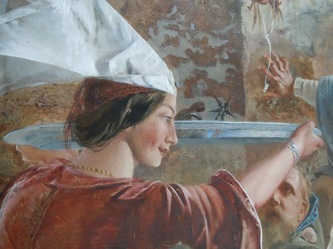 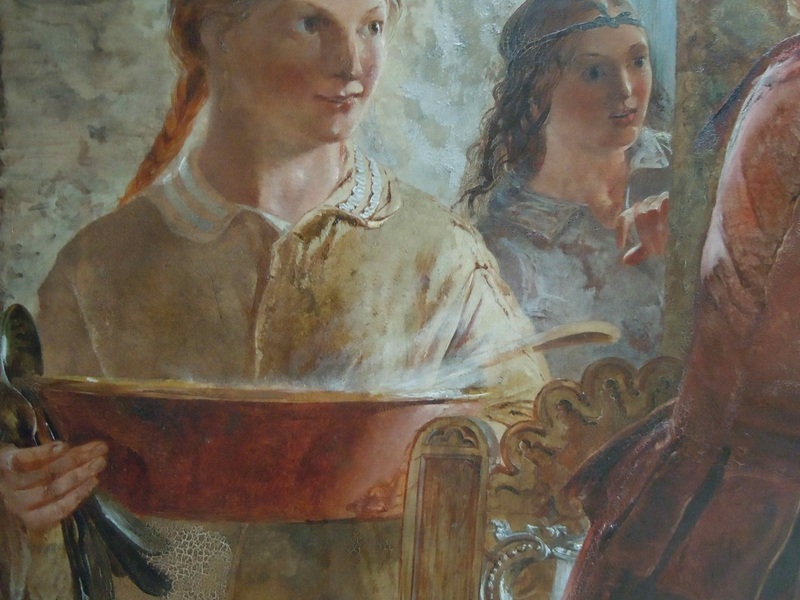 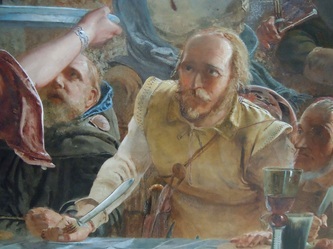 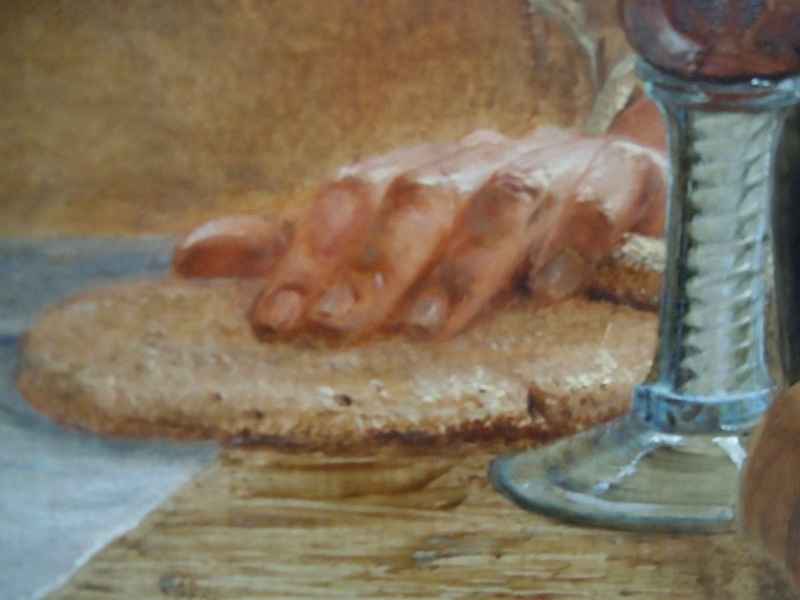 The fifth panel of William Bell Scott’s mural in the Great Hall shows border reivers gathered for a meal in their castle. Here the act of bringing a spur to the table on a plate signified to the reiver family that the larder needed replenishing. 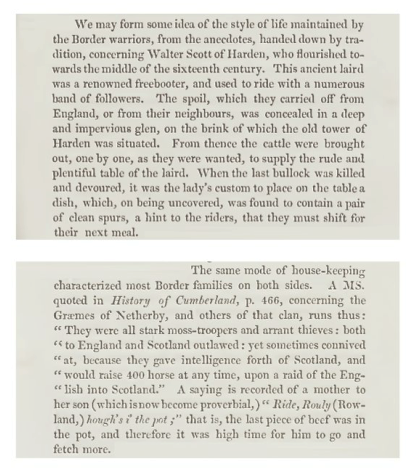 This would have been achieved by raiding local farms. 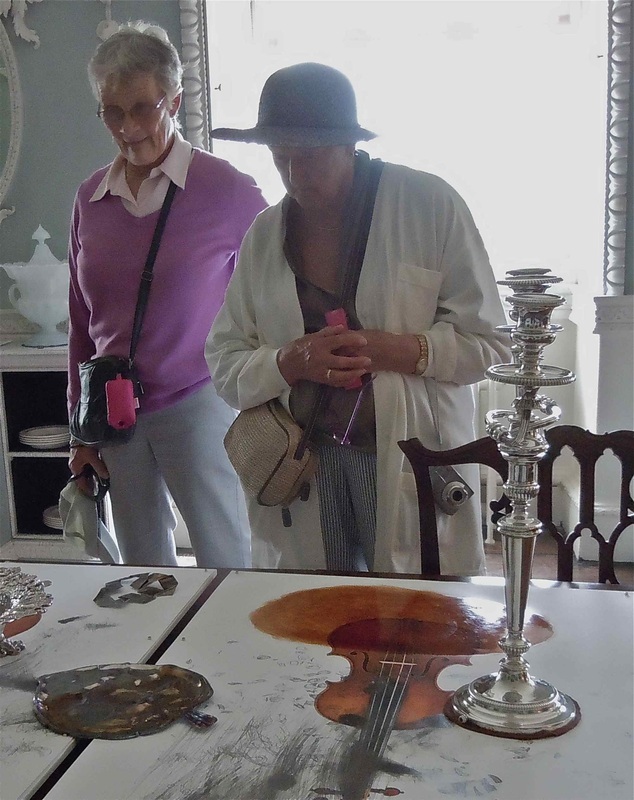 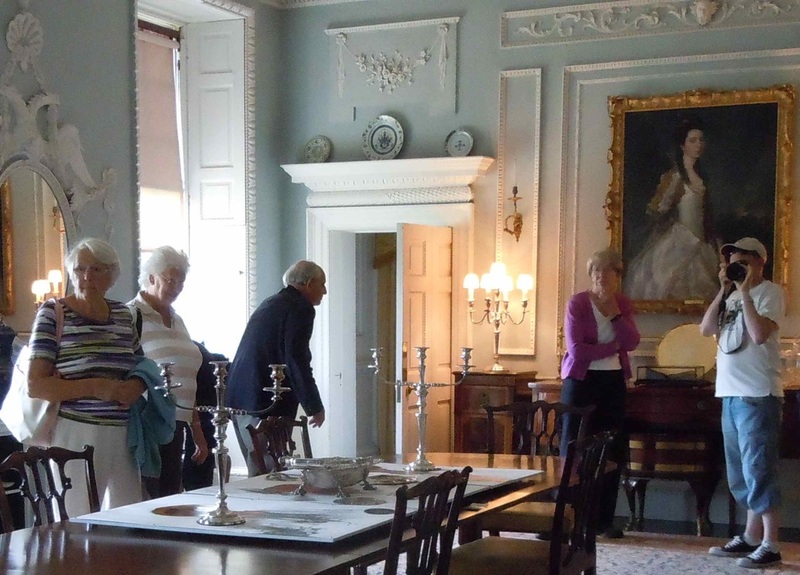 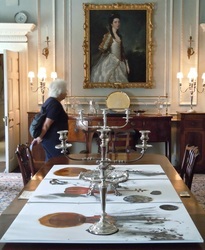 Fast-forward through history to the 18th Century and the elegant dining room at Wallington. 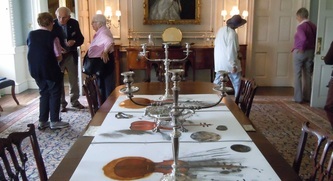 Arthur Young’s book Northern Tour (1770), which is displayed near the table, describes this decorated environment as ‘light and pretty’. 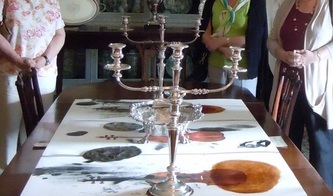 Imagine the continuing evolution of the reivers’ spur-platter custom at this time of increased prosperity. 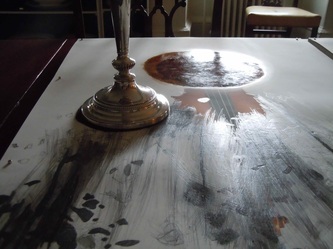 The pewter platter is now a silver basket and the only suggestion of borderland violence is the Calverley and Blackett ‘arms’ engraved on the tableware. 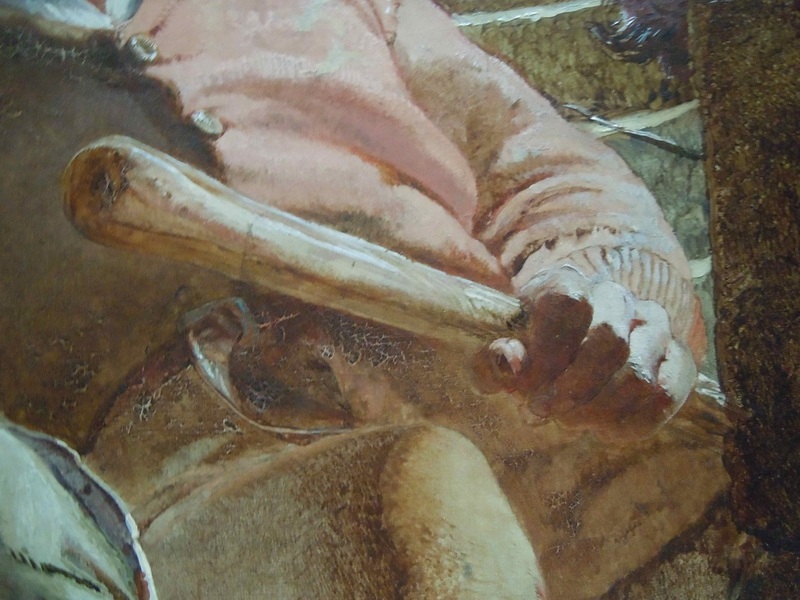 Thus we can imagine the spur replaced by objects of a cultural, rather than military, significance. Spur-Platter Variant has been created using pencil, french polish, ink-jet prints (photography by Tucker Densley), modern kitchen equipment and silverware (made by John Jacobs of London in the 1750s). 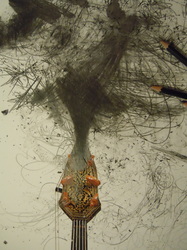 The assemblage of images and objects has been installed on the table using a platform built of museum-grade materials. The rider's spur brought to the table on a platter is exactly the kind of unexpected juxtaposition of object and context that interests Dorsett as an artist and a curator. 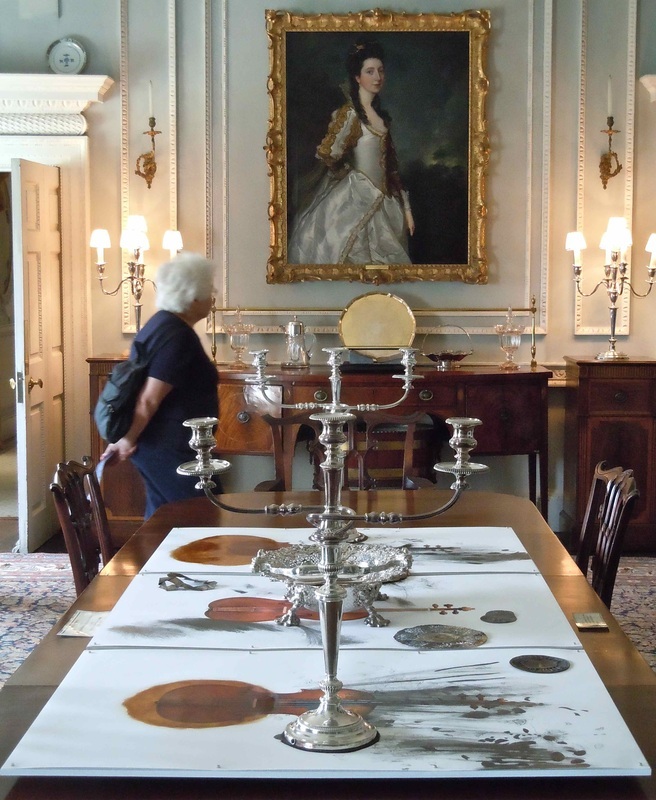 This is his core idea about placing contemporary artworks in historical environments such as Wallington and the notion of an unexpected juxtaposition encapsulates the spirit in which Unfinished Business was conceived. 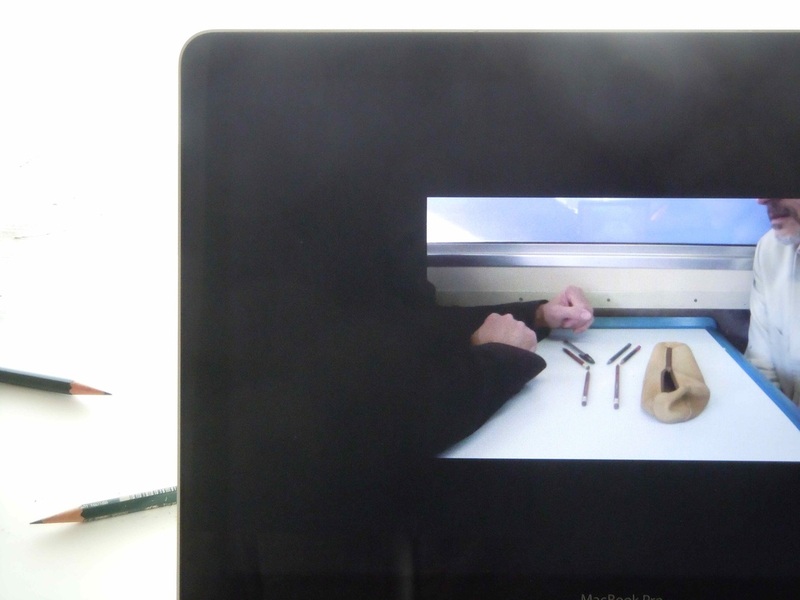 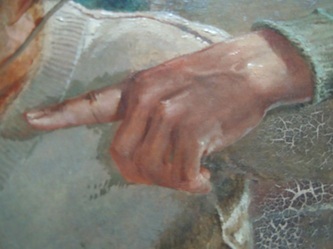 From the beginning the project was about intervention not integration - Dorsett asked himself what other kinds of signifiers could be brought to the table instead of a spur.